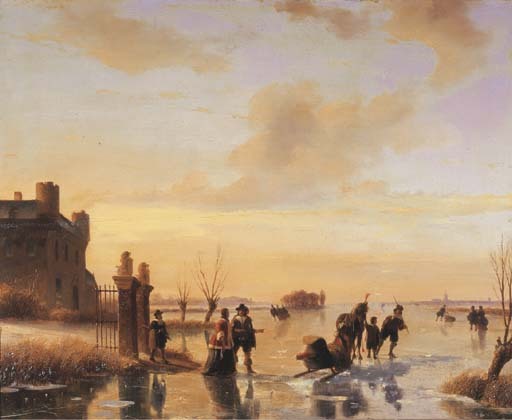 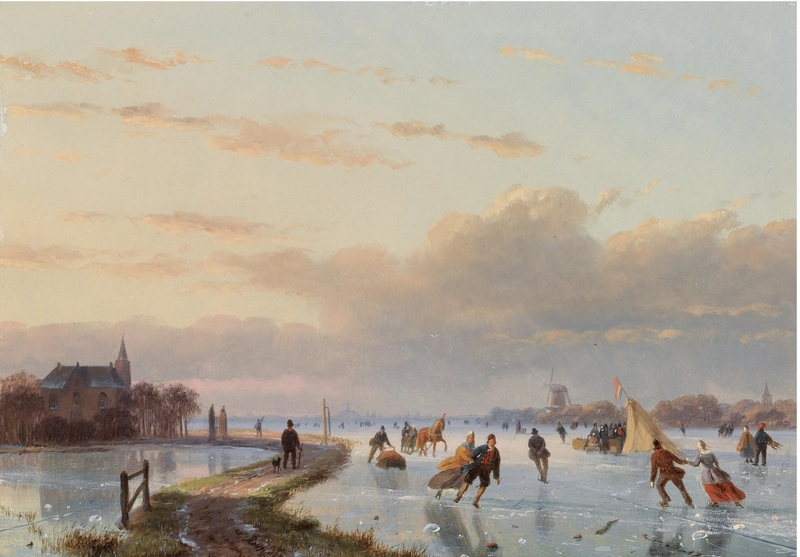 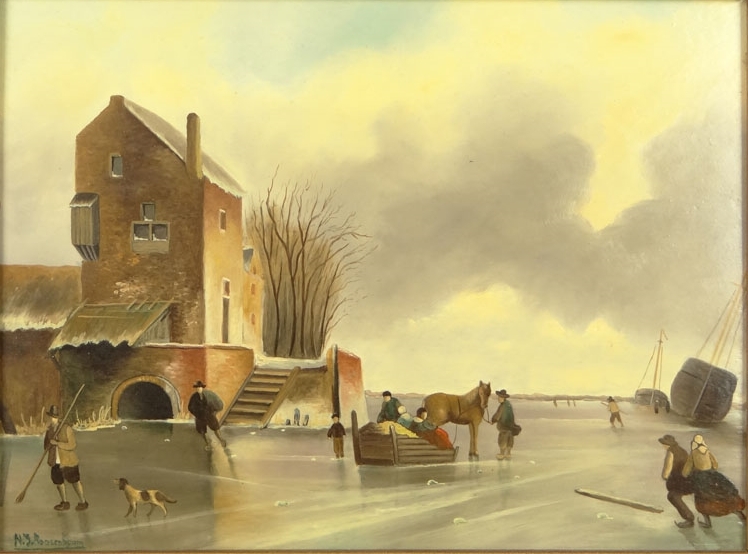 Nicolaas Johannes Roosenboom was born in Schellingwoude August 23rd, 1805 and he died is Assen, the 1st of March 1880 (The Netherlands). 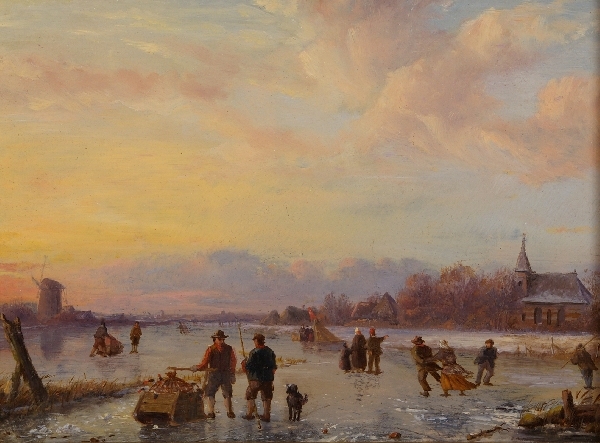 He was a student of Adreas Schelfhout. 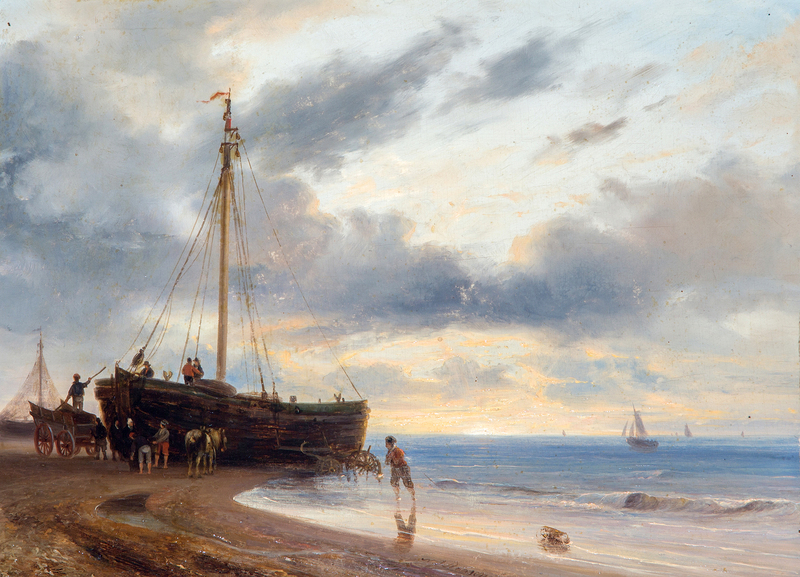 He travelled to Germany, Belgium, Scotland and Great Brittain. 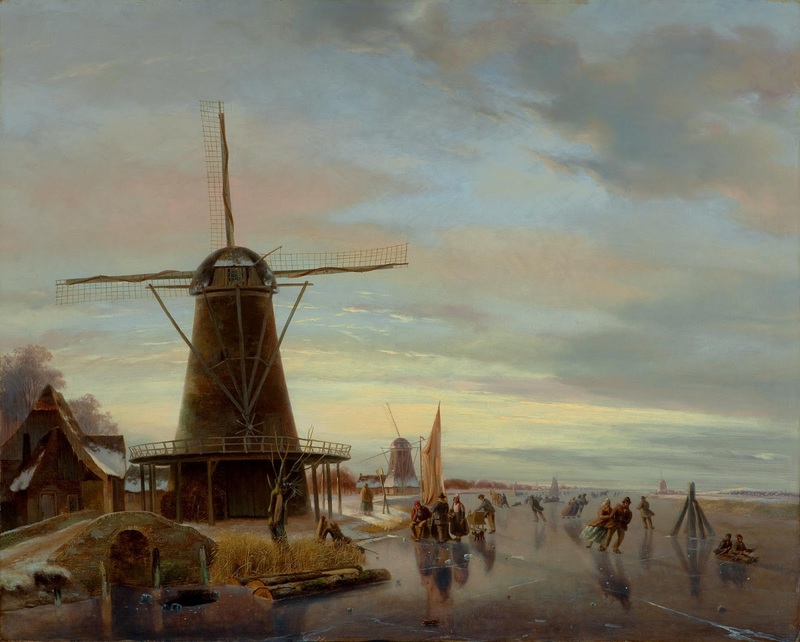 He also visited numerous Dutch towns and villages. 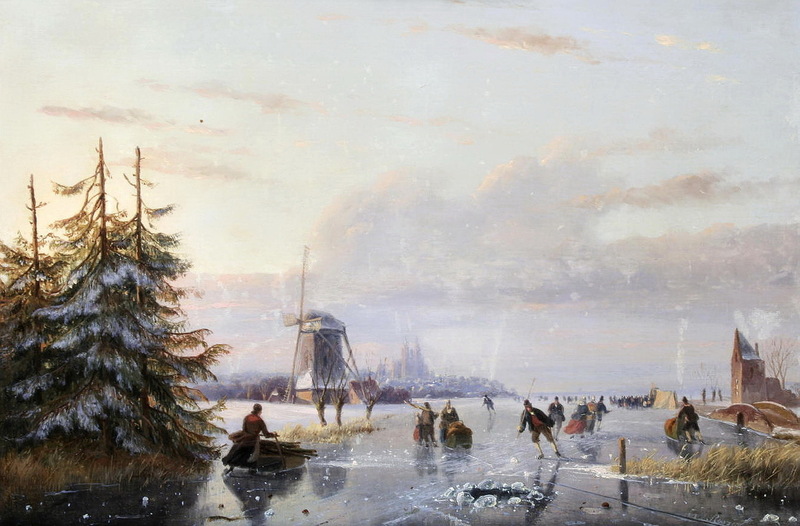 Nicolaas J. Roosenboom worked together with Eugène Verboeckhoven. 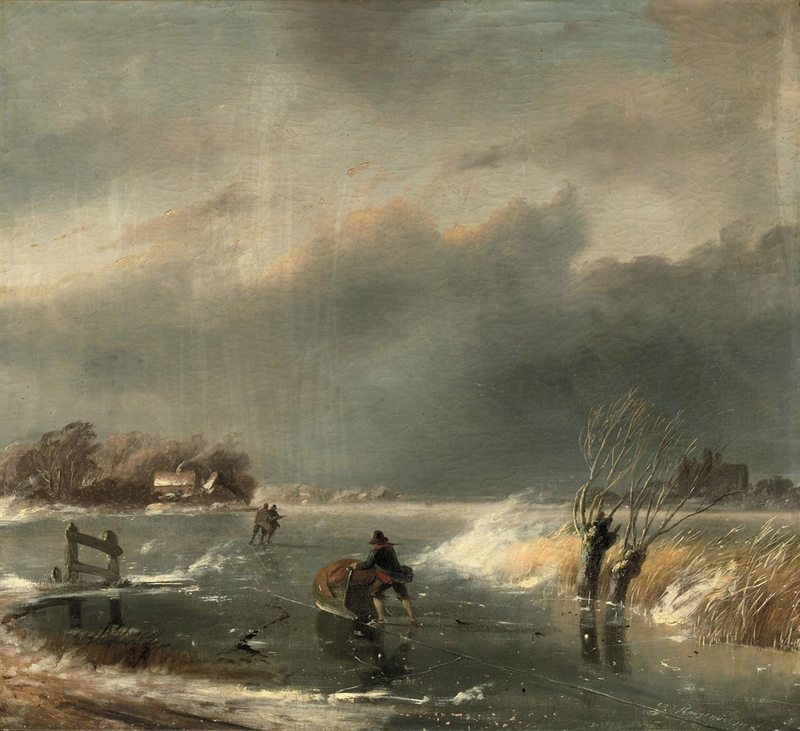 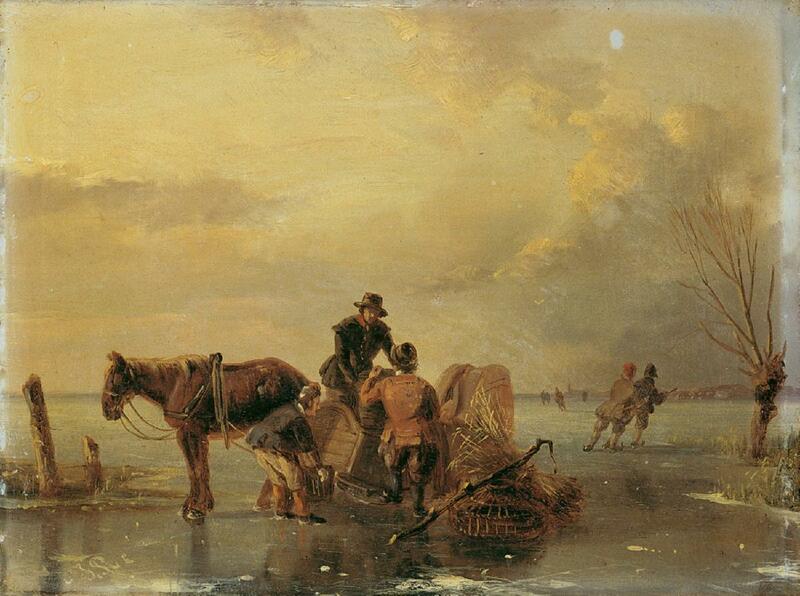 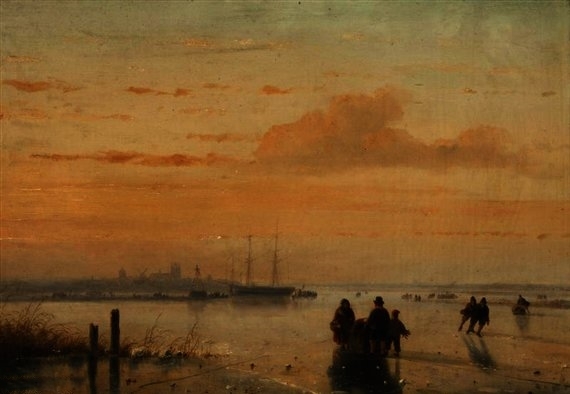 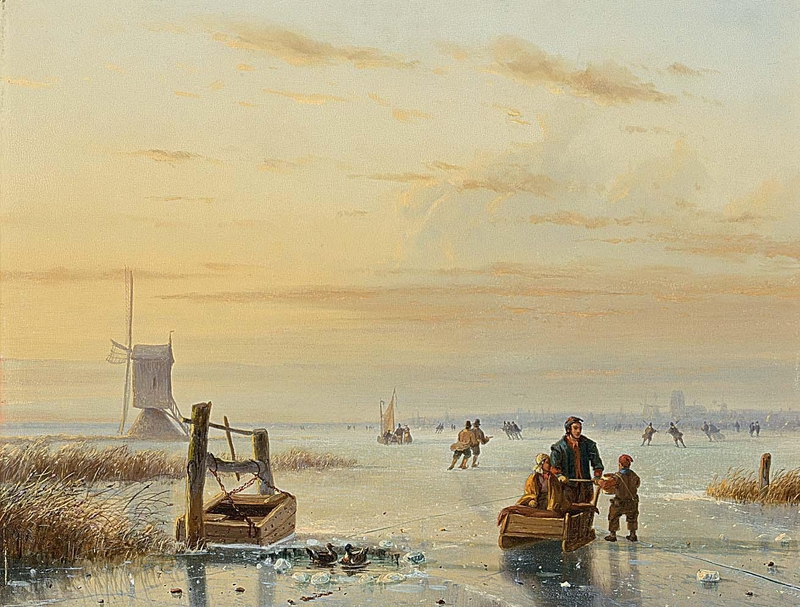 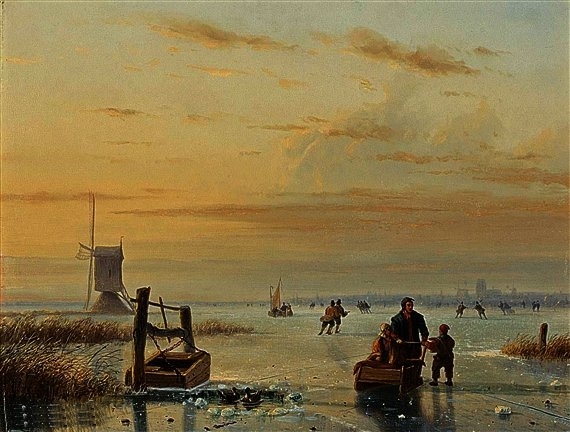 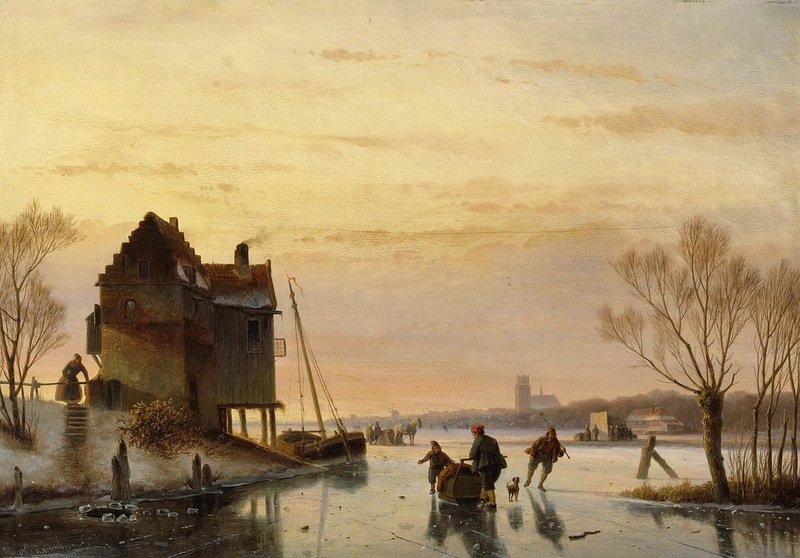 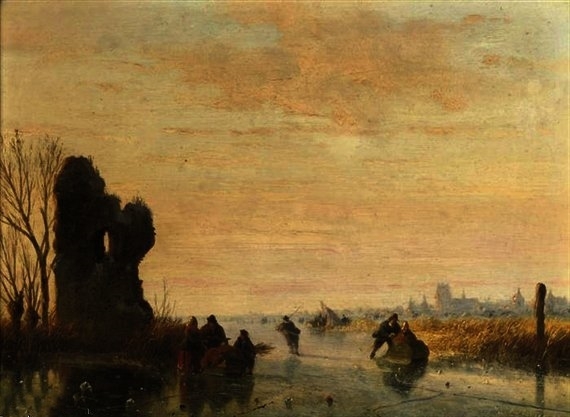 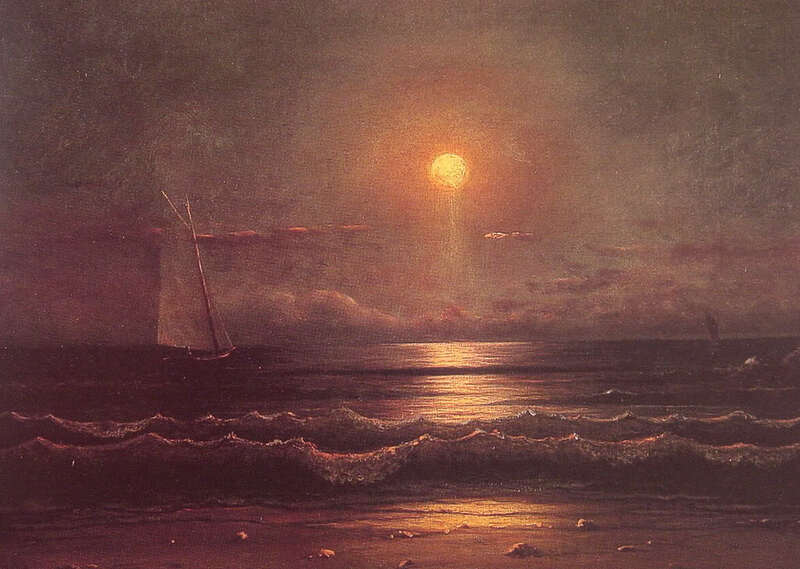 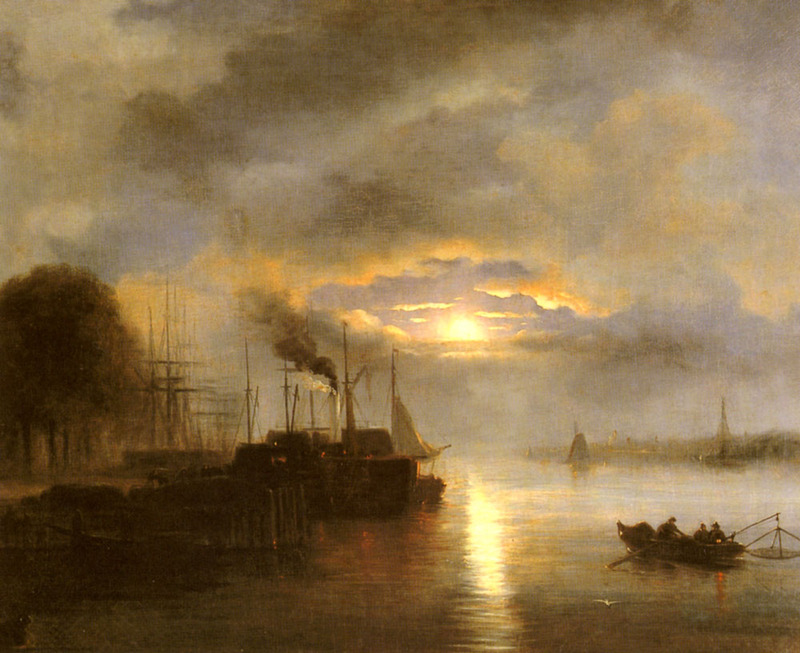 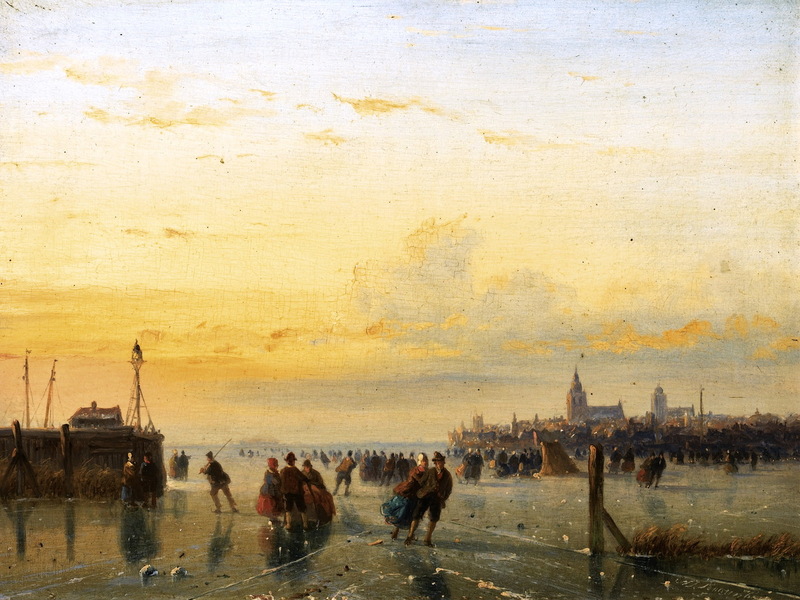 Painter of summer landscapes, river and town views, but his preference were the winterlandscapes. 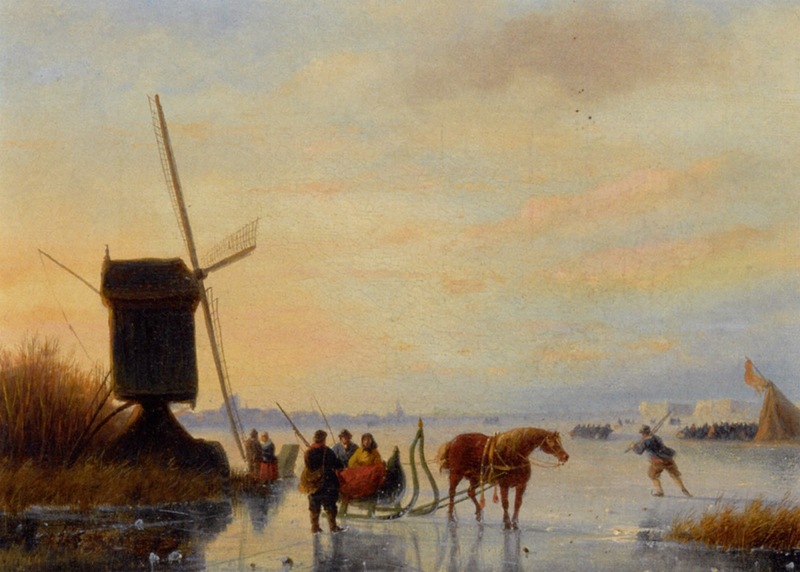 N. J. Roosenboom was a.o. 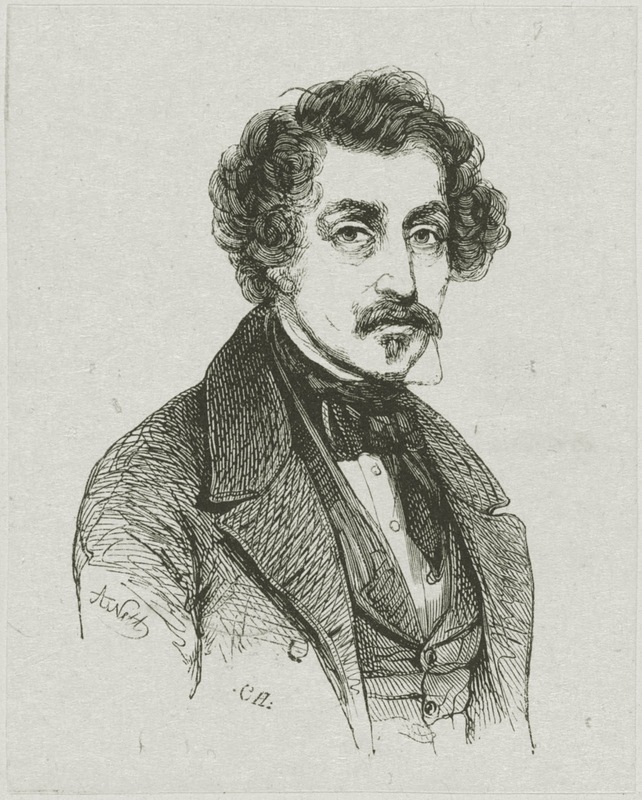 teachter of F. M. Kruseman. 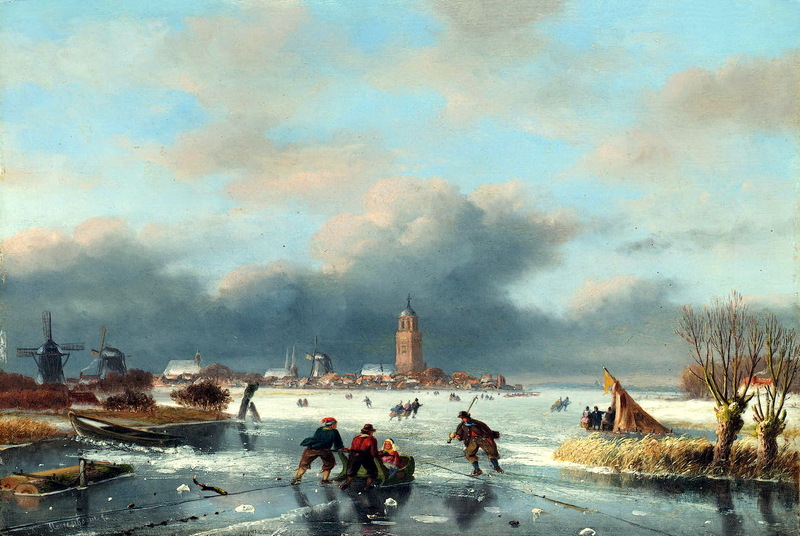 Exhibitions in Amsterdam and The Hague. 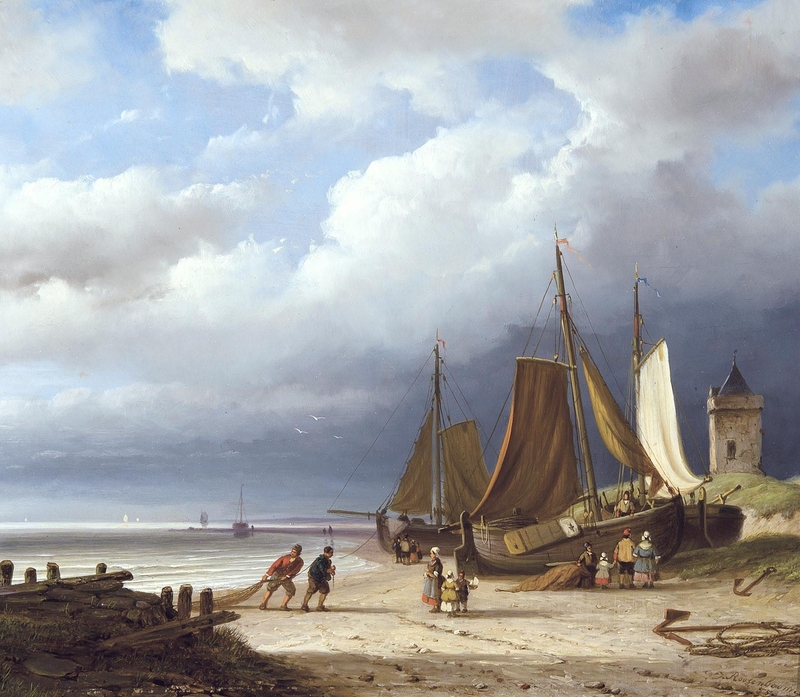 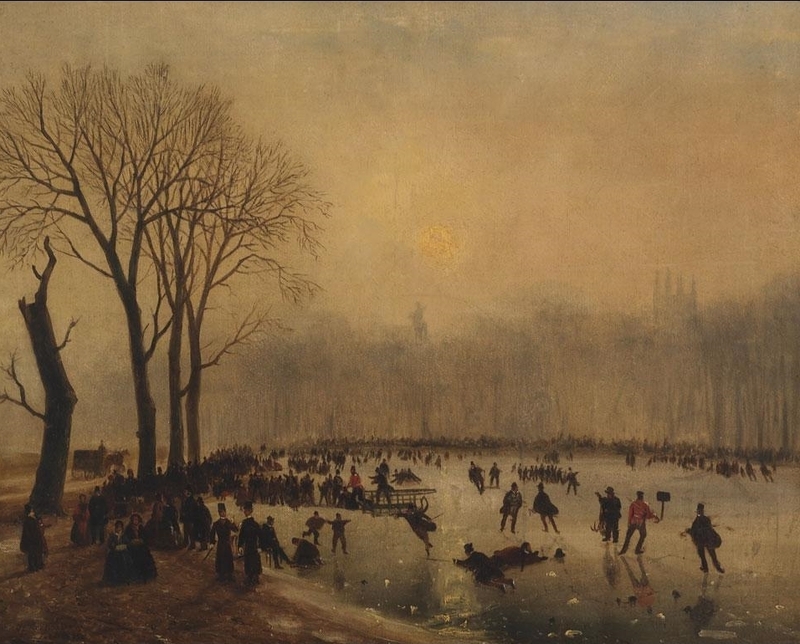 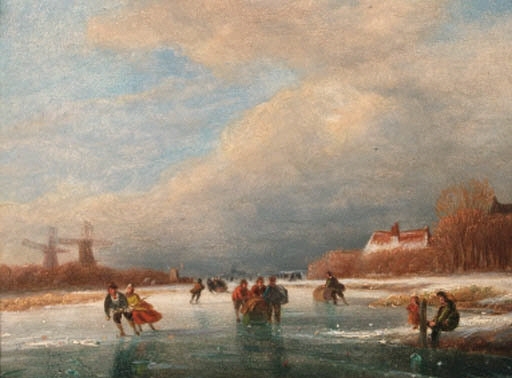 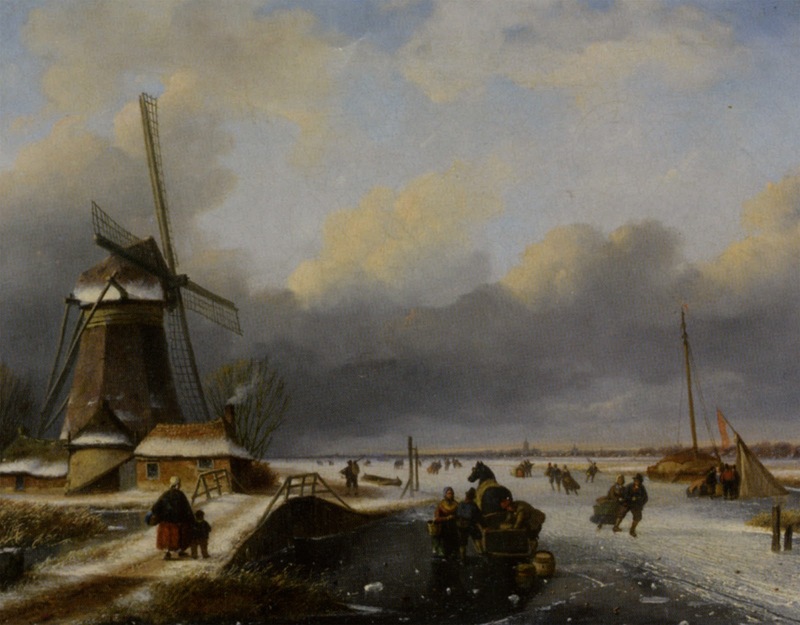 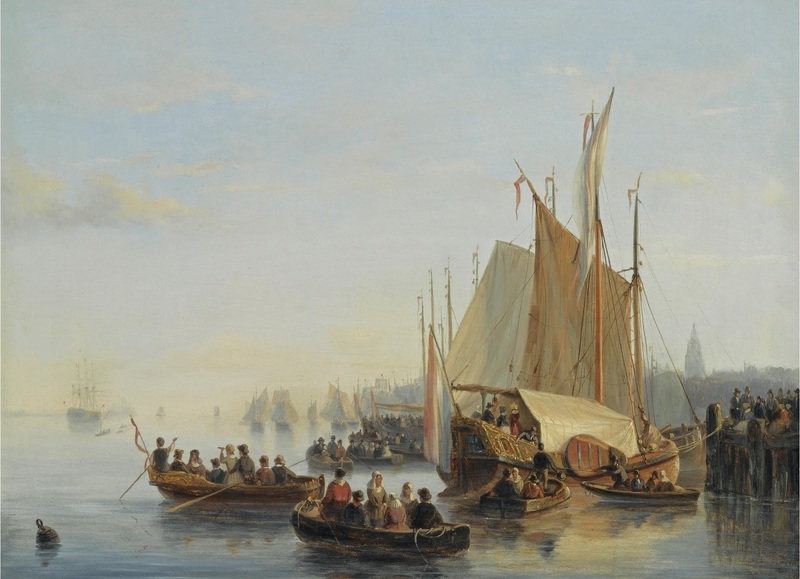 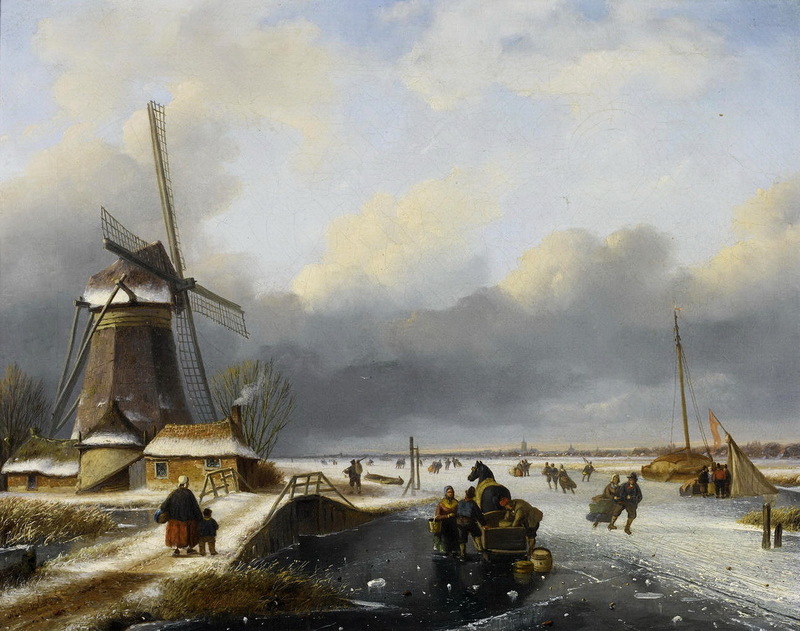 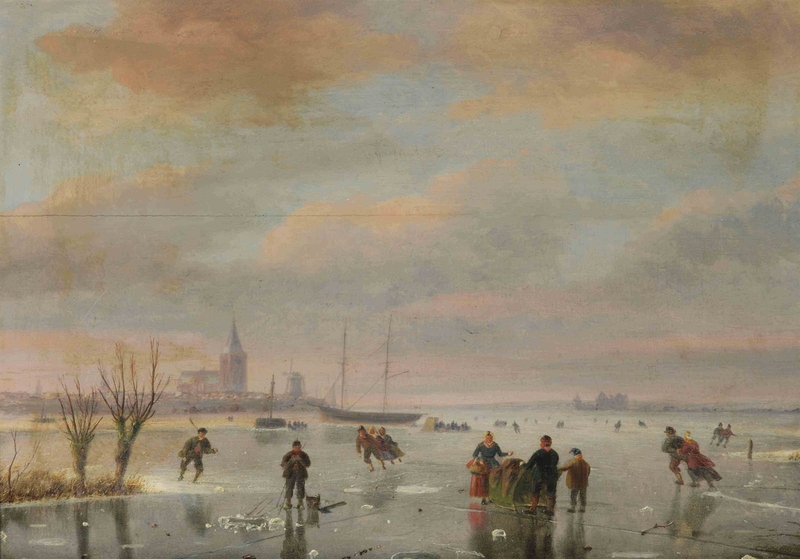 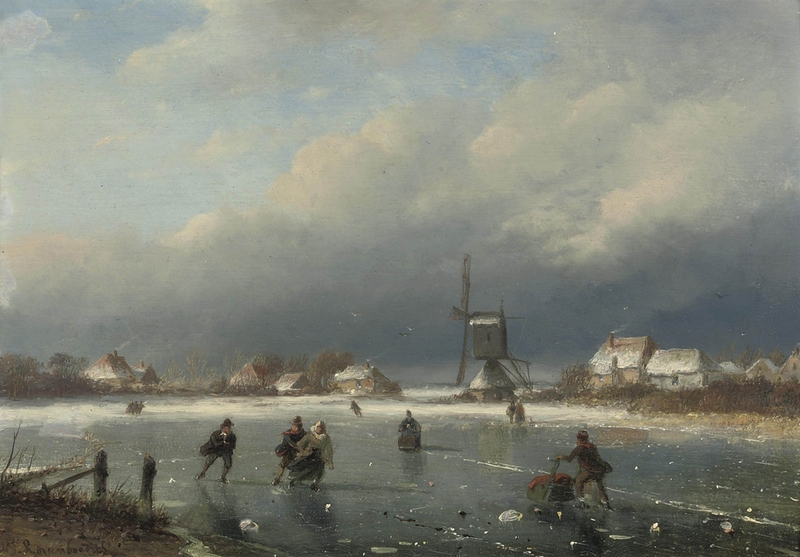 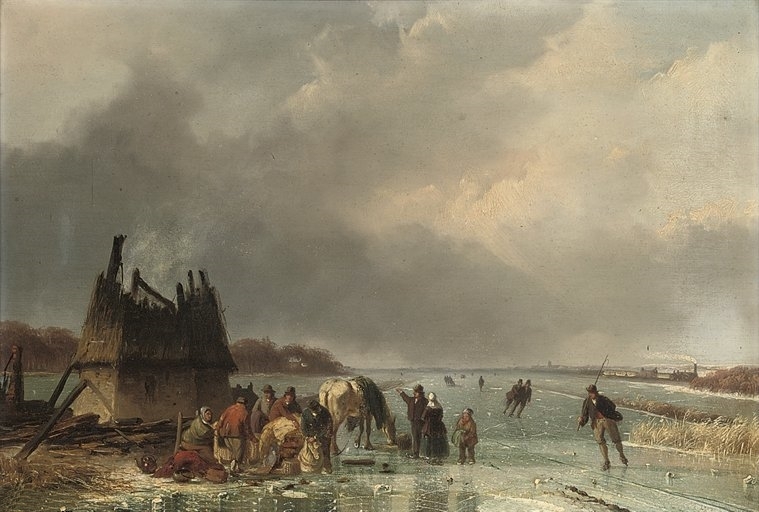 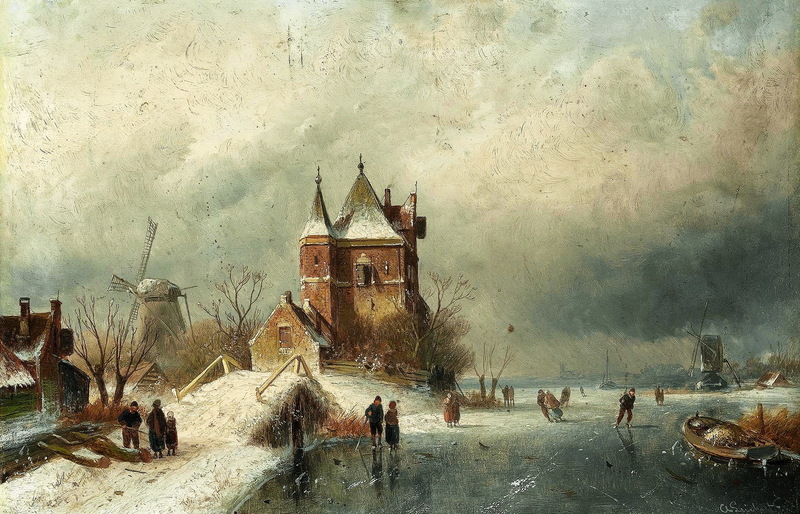 Works in possession of numerous Dutch museums.